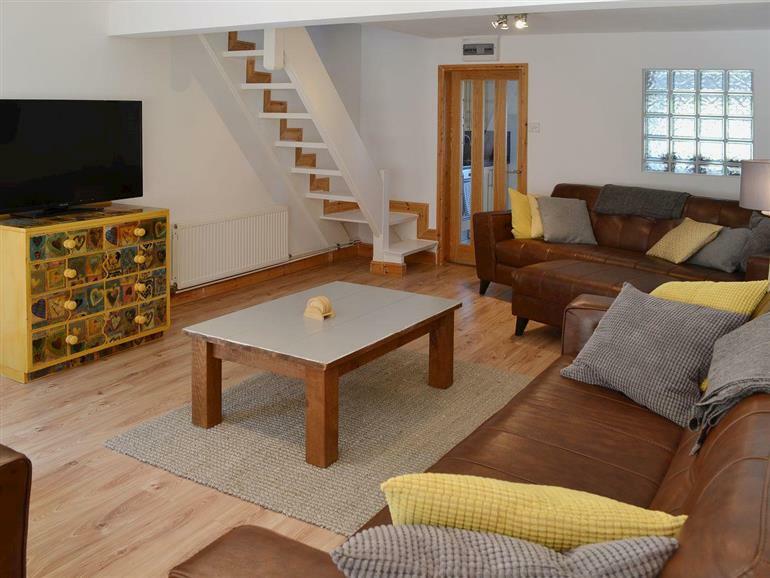 Beachcomber in Mundesley, near North Walsham sleeps 5 people. 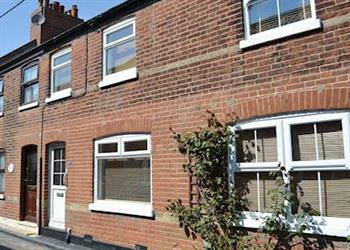 Beachcomber near North Walsham is 300 yards from the beach and has sea views; this Victorian mid-terrace cottage is ideally located for families. The enclosed courtyard has direct access to Gold Park, with its crazy golf, toddlers swing park, basketball and tennis court, a skateboard park and acres of grass to have fun. A few yards from the park is the sandy beach, and dog friendly beaches can be found just a 10-minute walk away. Mundesley is a traditional seaside village, with shops, café, post office and a village pub, all within walking distance. There is also a golf course in the village, as well as a network of quiet lanes and foot trails, offering good walking and cycling opportunities. The popular seaside town of Cromer, 7 miles, offers plenty of fun for all age groups, with its famous pier, promenade, wide beach and town centre with many shops, cafés, restaurant and pubs. The market town of North Walsham is 5 miles away, where fishing is possible (with licence), and Wroxham, capital of the Norfolk Broads, is 12 miles, with daily boat hire, river trips, riverside cafes, restaurants, pubs and shops. The shop and restaurant are 100 yards, with the pub 300 yards from Beachcomber near North Walsham. Living room: With 50 Freeview TV, DVD player and wooden floor. Kitchen/dining room: With electric oven, gas hob, microwave, fridge, freezer, dishwasher, washing machine and tumble dryer. Bedroom 1: Galleried with double bed and en-suite with shower over bath, and toilet. Gas central heating, gas, electricity, bed linen, towels and Wi-Fi included at Beachcomber near North Walsham. Travel cot and highchair. Enclosed courtyard with patio, terrace and garden furniture. On road parking. No smoking. Holidays at Beachcomber run from Friday to Friday. For a better idea of where Beachcomber is, you can see Beachcomber on the map below. Beachcomber is in Norfolk; should you be on the lookout for a special offer, you can find all the special offers in Norfolk. It's always worth checking to see what is on offer at the moment. Do you want to holiday near Beachcomber (UKC323), you can see other cottages within 25 miles of Beachcomber; have a look to find your perfect holiday location.